These Economy Matte CD/DVD Labels are the perfect solution for you if you want professional-looking CD/DVD labels that you can create and design on your own. The matte finish is sure to impress others when they see your discs on display. 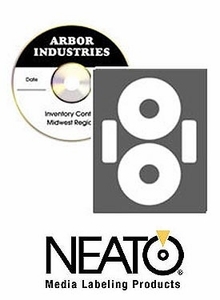 What you will receive when ordering this pack of EconoMatte CD/DVD Labels are 50 sheets that each have two disc labels and two utility labels per sheet.